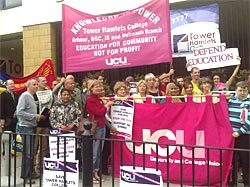 26th october london reading group: what are trade unions for? – Why should unions remain independent from the state? – What are the limitations of negotiating better conditions of employment? – Are unions an expression of the self-organisation of the working class, or bodies which seek to win improvements on their behalf? 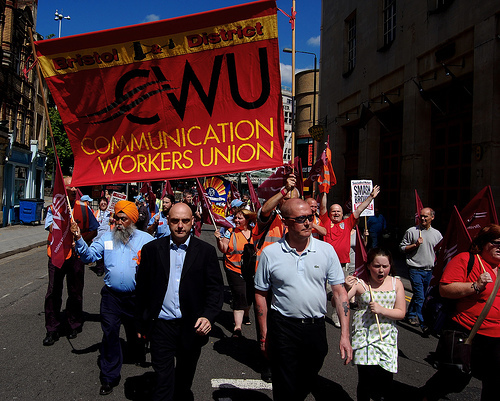 – What is the difference between ‘trade unionism’ and the revolutionary class struggle? The rise of a new bureaucratic rul­ing class in Russia in the thirties and forties of the twentieth cen­tury has artificially inflated the stock of several opponents of the social democratic movement who attacked it on the grounds that it was preparing a dictatorship of ‘intellec­tuals’ or men of ‘science’ over the untutored working class. The next of The Commune’s London reading group series on ‘communism from below’ is to take place on Monday 13th April. The subject of the discussion, taking place from 6:30pm at the Old Red Lion, near Angel tube, is “workers’ self-government vs. state socialism”. – To what extent is it possible to use the existing state’s structures to force ‘socialist’ reforms? – Should we refuse to make any demands on bourgeois governments? – What arguments could be made for and against the slogan “nationalisation under workers’ control”? – Does William Paul’s “industrial executive committee” reflect our idea of working-class power? – How can self-managed workplaces relate to the needs of society as a whole? – Does the idea of a “workers’ party” imply an elite counterposed to grassroots activism and workplace democracy, and does it really allow a broader programme of social revolution? All are welcome to come and take part in the discussion. Email uncaptiveminds@gmail.com for more info.